Brainvire Multiple Cart extension for Magento lets you buy the simple products in a minute, just by selecting the products through check box and adding the quantities for each on the list page itself and adding them t cart. 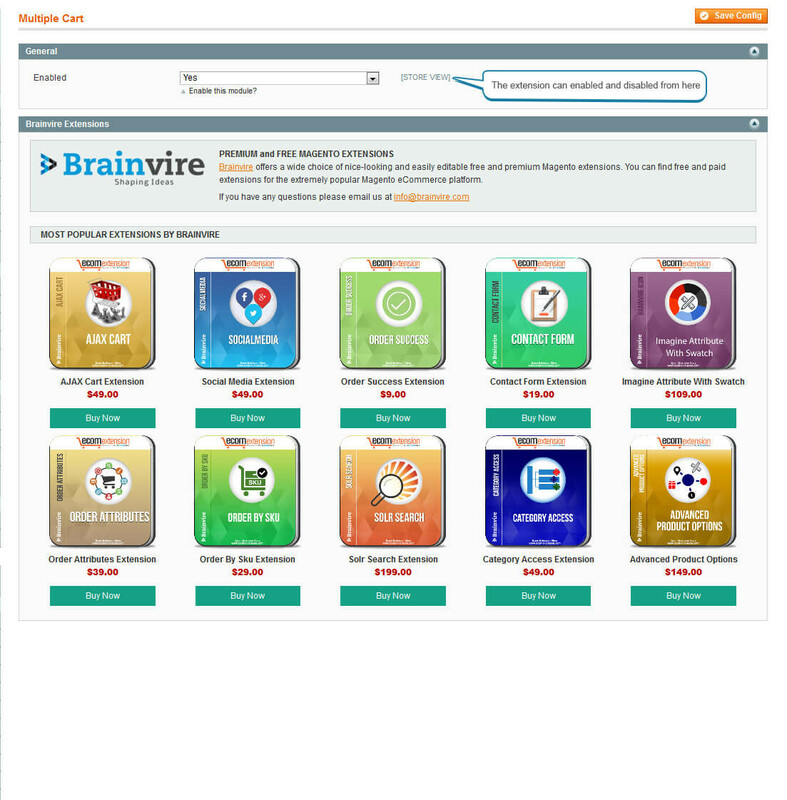 Brainvire Multiple Cart extension is one extension through which you can attract customers easily, as it lets them save their time when shopping from your online store. Well, when it comes to simple products, all they have to do is select the products which they want to buy by clicking in the check box and simultaneously keep adding quantities for each product from the list page itself. At the end, all they have to do is click on the ‘add to cart’ button from the bottom of the page and all the products will be added to cart together, saving a lot of time. 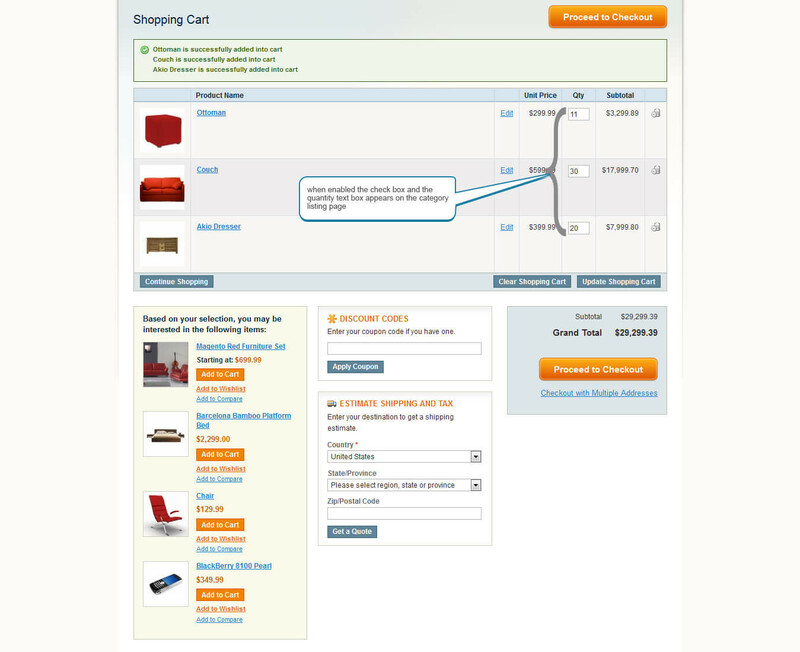 Brainvire Multiple Cart extension for Magento of course lets customer to add single product to cart individually after adding quantity from the list page. In short, if customers want to buy multiple products, they need not click on each of them and go to view page to add them to cart individually. They can select all of them, add quantity and add them to cart together. 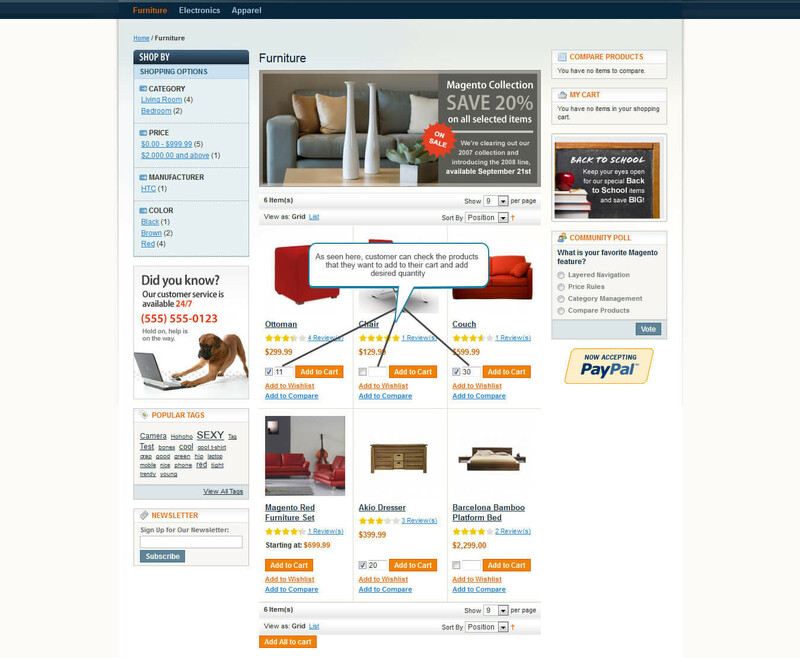 Customers can add multiple products to cart at the same time. Customers can select multiple products from the list page itself. They can type the quantity for each product. They can order all of them together by clicking on ‘add to cart’ button. The extension is for simple products. It is easy to understand, install and use.